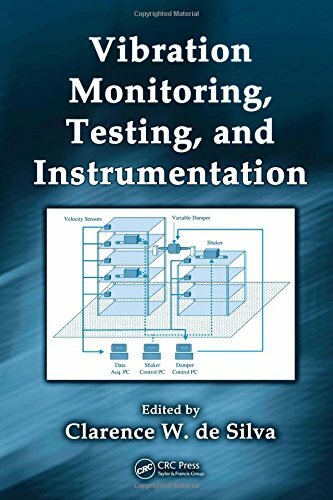 [PDF] Vibration Monitoring, Testing, and Instrumentation (Mechanical and Aerospace Engineering Series) | Free eBooks Download - EBOOKEE! Description: Controlling a system's vibrational behavior, whether for reducing harmful vibrations or for enhancing useful types, is critical to ensure safe and economical operation as well as longer structural and equipment lifetimes. A related issue is the effect of vibration on humans and their environment. Achieving control of vibration requires thorough understanding of system behavior, and Vibration Monitoring, Testing, and Instrumentation provides a convenient, thorough, and up-to-date source of tools, techniques, and data for instrumenting, experimenting, monitoring, measuring, and analyzing vibration in a variety of mechanical and structural systems and environments. Drawn from the immensely popular Vibration and Shock Handbook, each expertly crafted chapter of this book includes convenient summary windows, tables, graphs, and lists to provide ready access to the important concepts and results. The authors give equal emphasis to the theoretical and practical aspects, supplying methodologies for analyzing shock, vibration, and seismic behavior. They thoroughly review instrumentation and testing methods such as exciters, sensors, and LabVIEWÂ® tools for virtual instrumentation as well as signal acquisition, conditioning, and recording. Illustrative examples and case studies accompany a wide array of industrial and experimental techniques, analytical formulations, and design approaches. The book also includes a chapter on human response to vibration. Vibration Monitoring, Testing, and Instrumentation supplies a thorough understanding of the concepts, tools, instruments, and techniques you need to know before the design process begins. No comments for "[PDF] Vibration Monitoring, Testing, and Instrumentation (Mechanical and Aerospace Engineering Series)".